Mortgage & Refinance | North Star Mortgage Network Inc. 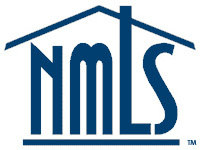 Welcome to North Start Mortgage Network! We are committed to helping you find the right mortgage product for your needs. We make the process of securing a mortgage simple and straightforward by offering you the latest in financial tools that enable you to make sound financial choices. We offer: Purchases, Refinance, Conventional, FHA, VA, USDA, Condo, Investor Loans, Manufactured Home, Home Renovation, Construction Perm, SBA, Commercial, Bank Statement Loans and up to 95% Loan to Value JUMBO Loans.